The Hainan tourism authority has made a decision to further develop the island’s abundant hot springs resources and make branding a top priority. The plan includes goals to create scientific criteria for the evaluation of the hot spring tourism offerings. According to the plan, local enterprises will receive support in developing their own brands and a number of communications campaigns will help promote the hot springs tourism. The island has more than 200 underground mineral resources and hot springs, among which 75 hot spring sites have been commercially developed. 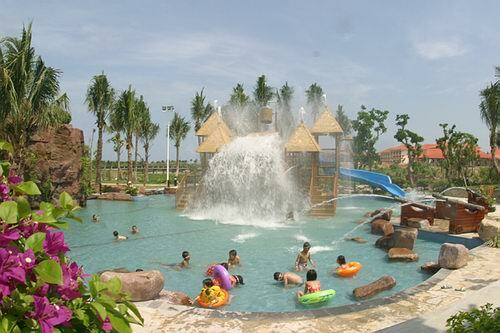 Many hot springs have been developed into attractive tourist attractions such as Nantian Pearl River and Yanglan Hot Springs near Sanya City, Xinglong and Bo’ao Hot Springs, Baoting’s Qixianling Hot Springs and Danzhou’s Lanyang Hot Springs. During the recent Spring Festival, these hot spring resorts received 470,000 tourists with revenues totaling 1.7 billion yuan. Besides, the provincial government is planning to carry out promotional strategies to advertise its hot spring tourism in overseas markets such as Russia, Japan, Korea, Germany, Switzerland and Italy.